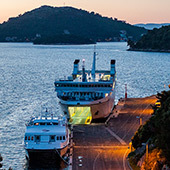 Find out when is the next ferry to Lastovo. Do you have a question? Send us a message!. 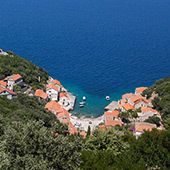 The Lastovo Archipelago is one of the richest and best preserved botanical areas in the Mediterranean. The flora on Lastovo is determined by the isolation of the open sea, plenty of sunlight and night humidity, as well as the special and deep Lastovo soil. There are 810 species recorded so far, including endangered species, species extinct elsewhere, endemic and steno-endemic species. Besides Aurinia leucadea, an interesting and rare plant, one must point out Ampelodesmos mauretanica, a plant only found on Lastovo, as well as the steno-endemic and strictly protected species Biserrula pelecinus ssp. dalmatica. The flora on the island of Sušac has been affected by the lack of water on scarce soil and constant exposure to strong southerly winds. This specific flora includes 278 plant species; among the eight endemic ones, one must point out Brassica cazzaem, which grows in the cracks of rocks along and near the shore. Around 70% of the islands’ surface is covered with forest; besides Mljet, Lastovo has the most forest cover among Croatia’s islands. It is mostly covered with maquis – the most beautiful tree is strawberry tree (Arbutus unedo), but it is significantly covered with holm oak (Quercus ilex) and aleppo pine (Pinus halepensis). Mushrooms can also be found under the forest cover. Houses on Lastovo are adorned with Mediterranean plants growing around them: almond, lemon, orange, palm and carob trees. This environment also suits medicinal plants such as sage, mint, milfoil, rosemary, lavender, fennel and camomile. Grapevines and olive trees predominate among cultivated plants. There is also an abundance of animal life. 175 vertebrate species have been recorded so far; 71 of them are endangered at the national and 37 at the European level. Lastovo’s caves host bats that use them either as dens or breeding sites; Medjedina Cave provides shelter for 2 endangered bat species – Geoffroy’s Bat (Myotis emarginatus) and Greater Horseshoe Bat (Rhinolophus ferrumequinum). 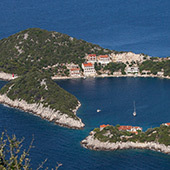 The Lastovo Archipelago is an important resting site for numerous migrant birds and also the nesting site for the rare Mediterranean shearwater and Cory’s shearwater (Calonectris diomedea). About 70% of Croatia’s population of the globally endangered Audouin’s Gull (Larus audouinii) nests on the island groups of Lastovnjaci and Vrhovnjaci. Numerous birds of prey nest within the Lastovo Archipelago Nature Park; especially prominent among them are the Peregrine Falcon (Falco peregrinus) and the Eleonora`s Falcon (Falco eleonorae). It is interesting that there are no venomous snakes on the Archipelago; the only snake is the Caspian whipsnake (Dolichophis caspius). The Lastovo Archipelago is also the habitat of steno-endemic lizards – the Dalmatian ruin lizard (Podarcis sicula adriatica) and the Lastovo wall lizard (Podarcis melisellensis n. ssp.). 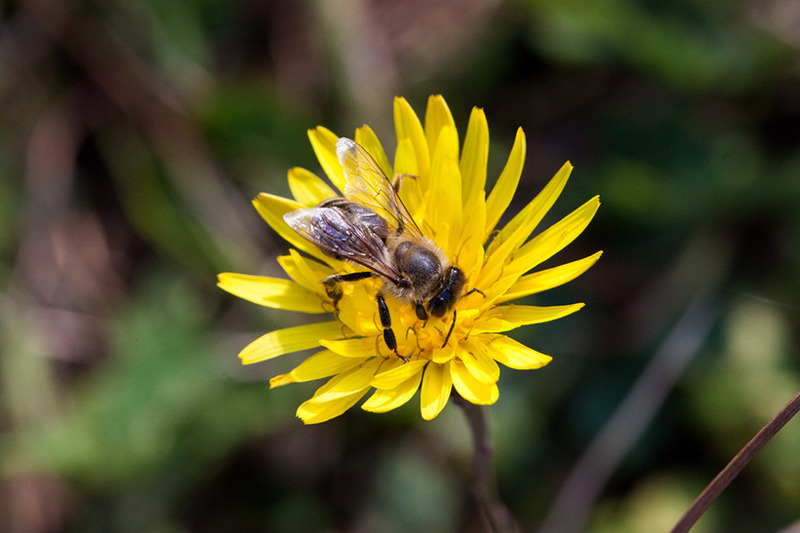 The area has an abundance of micro-fauna, especially insects, spiders and snails. Boris Sestan / Italia / 13.8.2015. Are you satisfied with our service? Leave us your comment and rating. 1.Is there ATM machine on the island ??? We have two ATM mashines on the island; near Splitska banka in Lastovo and in Port near Jadrolinija’s office. 2. Where is a gas station ??? 3. Is there a pharmacy on the island ??? We have a basic supply of medicines in pharmacy which is working only 1 hour a day, from 13-14 hours,every day except Sunday and holiday. For emergency there is attending doctor on guard. 4. Why is Lastovo town not on the sea ??? Because of the defense purposes it was build on mainland. 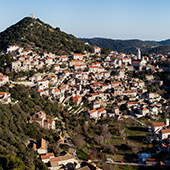 In the past Lastovo was often attacked by pirates from the sea and for defense purposes local people built their settlements on the hill. 5. Can we by some basic swimming equipment on Lastovo ??? We have two small local shops ( one near Tourist office and another near bank) with basic swimming accessories like mask, swim wear, madras etc. 6. Can we pay with Euro and credit cards in the shops and restaurants ?? In most of the shops and restaurants You can pay with credit card. Euro is not accepted. 7.Where we can by the tickets for the ferry and can we reserve a ticket ???? Tickets can be bought in Jadrolinija’s office in Ubli or on line, and there is no reservations possible. 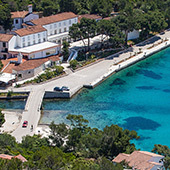 Did you know that Lastovo has one of 10 most attractive locations for scuba diving in Europe - Bijelac? This page has been viewed 2653 times.